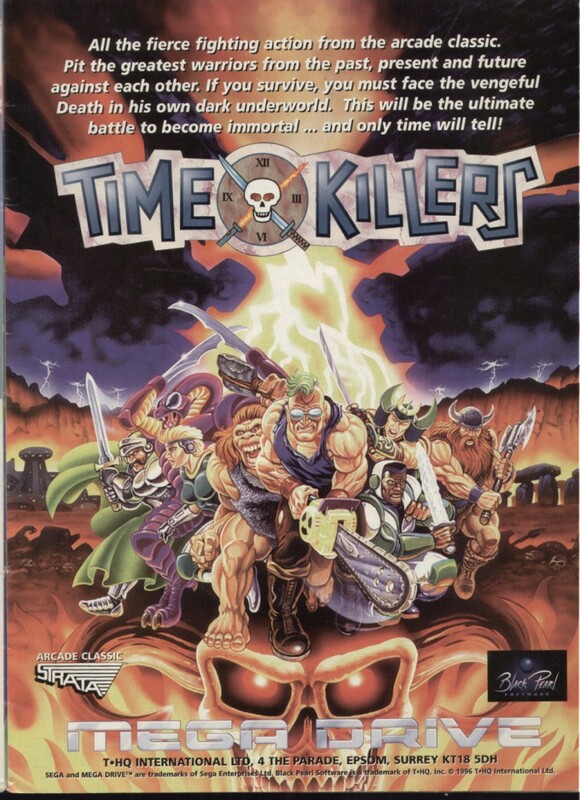 Time Killers is an utterly abysmal fighting game released in the aftermath of Mortal Kombat, when people assumed that violence alone could carry a game. About the only redeeming feature of Time Killers is the ability to cut each others’ limbs off. The Mega Drive release didn’t come out until about 4 years after the arcade game, and by 1996, Time Killers seemed even shitter than in 1992.